We get quite a lot of Rooks here, these are from the Crow family, they come and clean any left overs we leave behind for them on the grass. At least a dozen of them at the same time, but in summer we don’t see them so often, though if you put some bread out they come quickly enough. I see the adults still feeding their young when they are quite big. We have one that we call Charlie, he makes an awful lot of noise and always sits on the same fence. They are very intelligent creatures and interact with each other a lot. 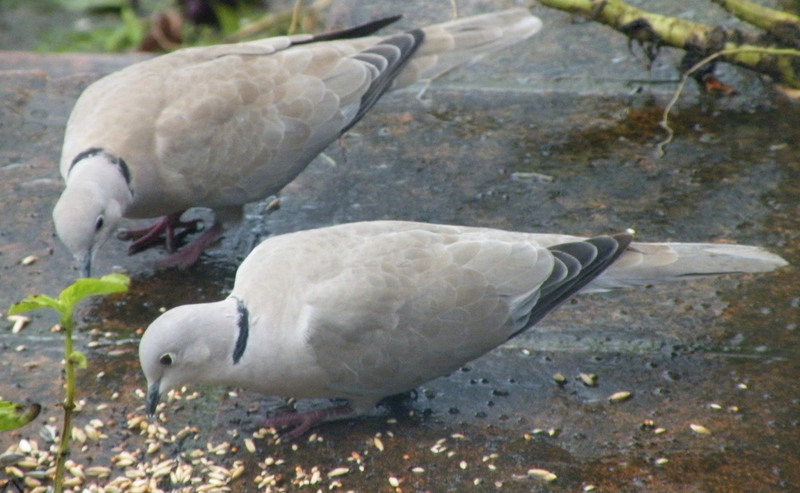 They are useful birds to have around as they always clean up any bread or seeds left behind by the smaller birds. After not using the chimney for several years, we had to get a chimney sweep who had a big job as the whole chimney was full of branches from their nests. 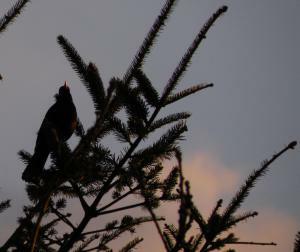 The blackbird singing high up in the tree. 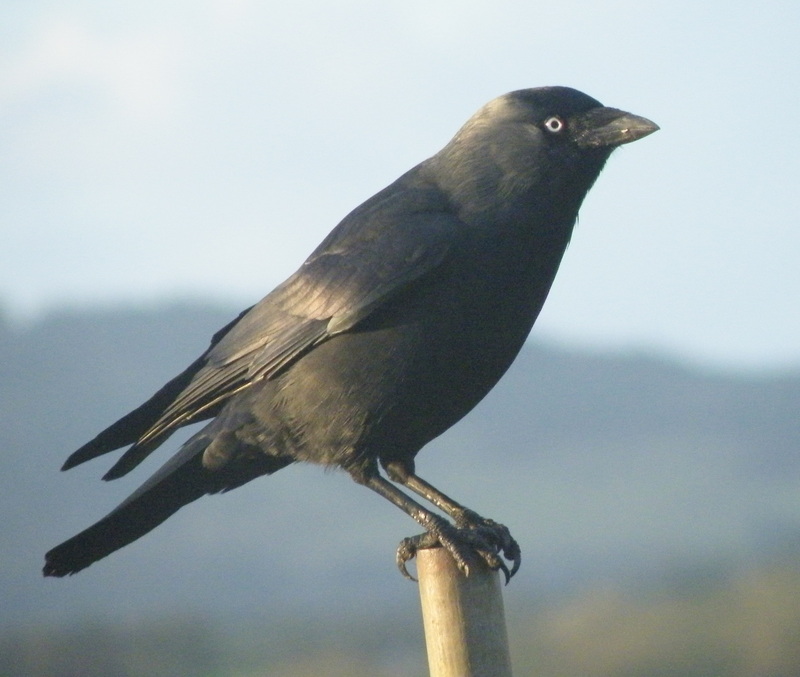 Jackdaws also frequent the garden everyday, they manage to get nuts from the feeder even when they are not meant to get them, they use their feet to hold on to the feeder and then peck away on the nuts. Another bird in the garden here is the Collared Dove, they are beautiful, especially when they are starting to fly or they land and their tail is fanned out. One Christmas a few years ago two of them arrived in the garden, and last winter there were three couples, in spring they put on quite a romantic display.